I'm finally getting back from my unexpected break with painting. I had to abandon my art challenge for a few months but I am committed to finishing it, just not in the timeframe that I originally planned. 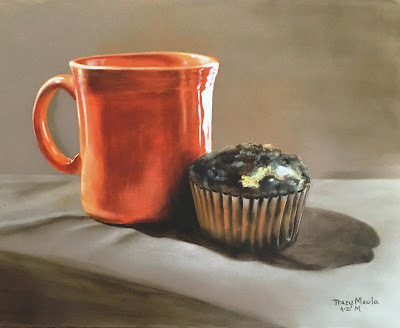 So this week to get back on track, I finished a painting with the letter M, "Mug and Muffin."